Satchels and conference bags are effective when personalised with branding. 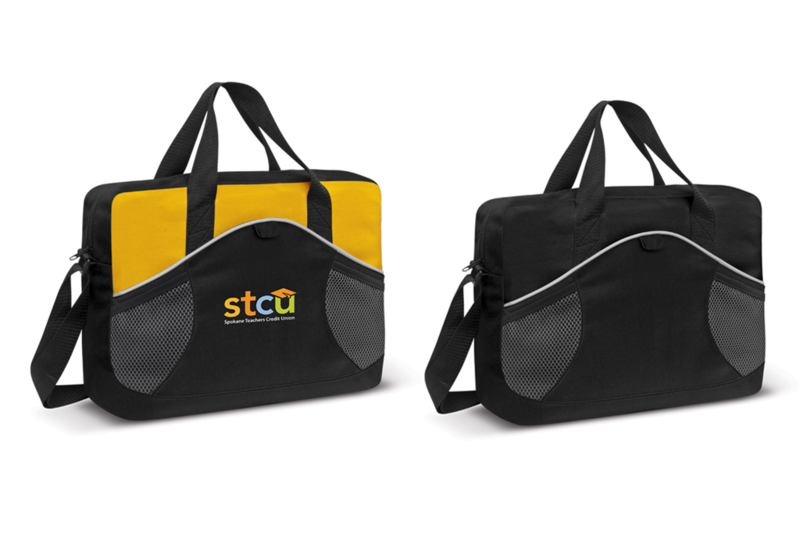 Printed with your brand logo or name, promotional conference bags and satchels are the go-to bags for employees and conference attendees. 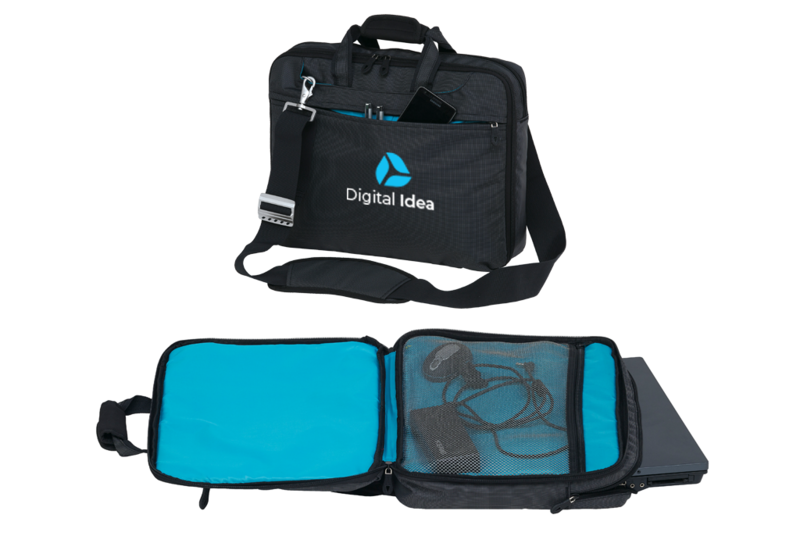 These branded satchels are designed to withstand the hustle and bustle of the corporate world and certainly make the perfect marketing tool. There is a multitude of options for every industry and occasion. Ranging from compact branded satchels for weekend events; the classic branded messenger bags for holding the most important of documents to the robust branded conference satchels with padded pockets to hold laptops safely. All the branded satchels are loaded with practical features including shoulder straps, business card pockets and exterior zippered compartments for easy access. 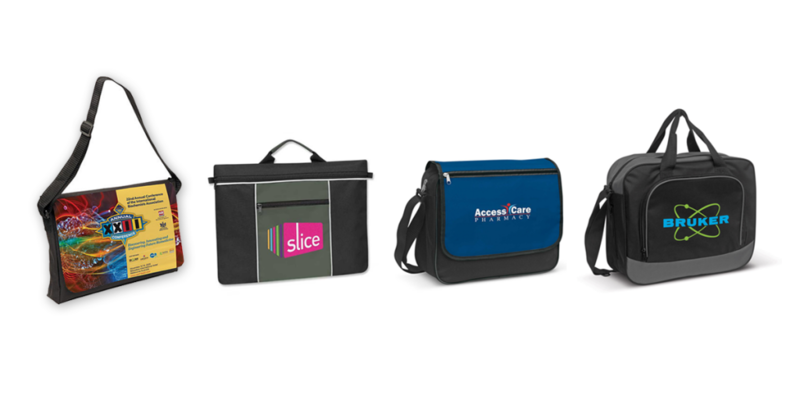 There are also budget satchels and conference bags available which can be personalised and handed out as corporate giveaways as well as eco-friendly options. The branding options available are screen printing, digital transfer, embroidery, supacolour and in some cases a full-colour sublimation print. Screen print: Ideal for branding satchels & conference bags as large print areas are possible and is ideal for large solid areas of colour. Close PMS matches are possible on white or light coloured bags. Supacolour: A reasonably new and cost-effective way of branding. The colour is produced digitally producing photo quality art and high detail. The images can have millions of colours without the costly setup fees and can be positioned anywhere on the satchels & conference bags. 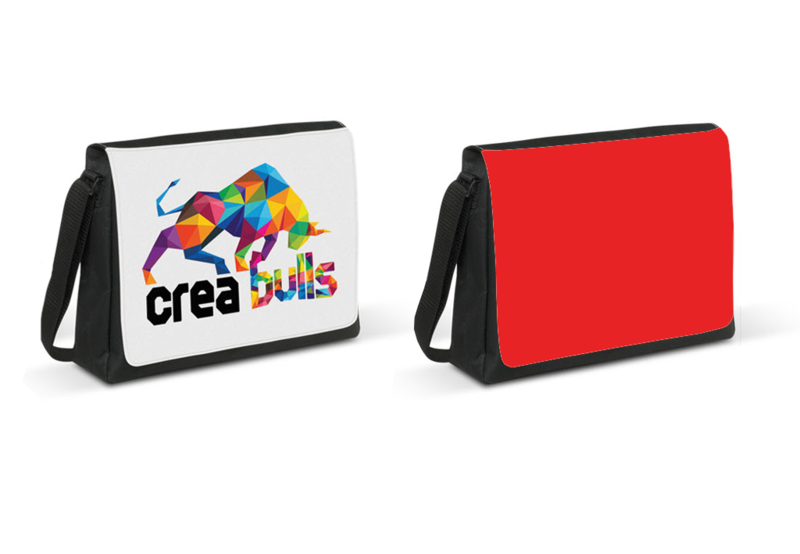 Sublimation print: This is used for branding satchels & conference bags that have a special coating on them or are made in fabrics suitable for the sublimation process. Sublimation ink is actually a dye so there is no ink build-up on the finished print and it looks like part of the product. It is ideal for producing vivid full-colour images as well as spot colour branding.